We won't be beaten on Price, Quality or Support! Probus School Cornwall demonstrating the New Electric Hi Lo Wall mount suitable for mixed age classrooms. ICE GTouch 65" Multi Touch Interactive Touch Screen attached to Hi Lo Mount System. Allows screen to position 300 mm from floor level. Accepts screens from 47" to 80"
Available as a mobile solution as well. Is your existing ICT support provider giving you an outstanding service? If not, then you should speak to us. Our ICT support services are very simple to understand and very competitively priced giving you the Support you need ! ​With 19 data breaches in recent months could your school be next to face a £500k fine? The world's most secure, easy to use USB 3.0 hardware encrypted Flash Drive with Secure PIN access. 30GB - 240GB! With the datAshur SSD® advanced security features such as read-only mode, auto-lock, self-destruct PIN and brute force protection, delivers complete data security and guarantees 100% protection of your data. Carly HT @ Nanpean "Thank you so much for popping by and getting all that sorted so quickly." ﻿Pete Hamlyn HT @ Carbeile Junior School "They are Amazing !" Head in N Cornwall "I couldn't wait to update the Old smartboards as staff were reluctant to integrate into their day to day teaching because of issues... now with these intuitive touchscreens I can see teachers using immediately and pupils are much more engaged in the learning process"
Richard ICT Adviser @ Cluster of ﻿Scho﻿ols: "Best Investment this School has made...we have lots of sunlight (from high windows) coming into classrooms which made the weak Interactive whiteboards virtually unusable, these High Definition Screens can be seen clearly in classrooms and have transformed the way we teach. I am looking to roll out across my network"
﻿James ICT Academy Cluster Bristol "Compared to a competitors Screen the GTouch was far superior in integration of other technology, no lagging when writing and far simpler for our staff to navigate and therefore use effectively"
Winners of the GV50 Visualiser from the Devon Association of Primary Heads Conference. ​The BenQ RP range is designed to safeguard the eye health of teachers and students, preventing eyestrain and eye fatigue. TUV certified with Flicker-free and Low Blue Light technology, the RP range reduces harmful blue spectrum light emissions. Combined with an anti-glare display which reduces reflections, the RP range from BenQ offers a clearer image display and more legible text. 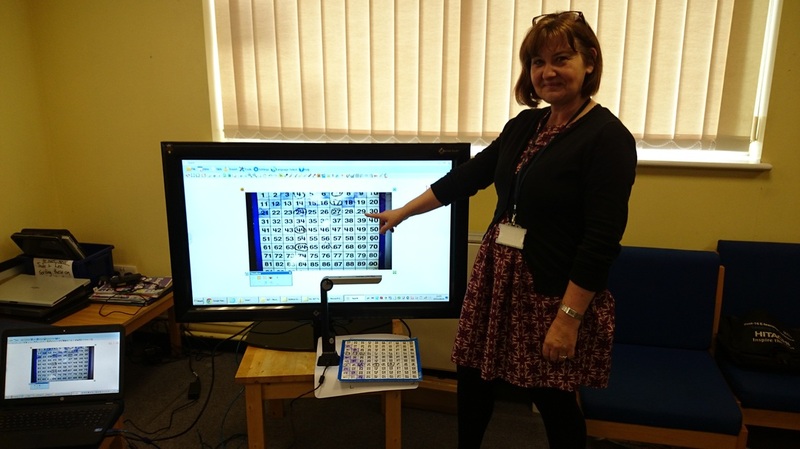 Westcliff Primary Deputy Head Sonya Lamoon receiving the GV50 and showing the Visualiser technology integrating with New Generation Interactive Touchscreen. Many Thanks to Ranjit Singh CEO GeneeWorld for sponsoring Prize. Spark is extremely powerful and versatile interactive screen software. Designed to work on both Interactive whiteboards and LED touch screens it provides a presenter or teacher with an infinite canvas area. As well as importing documents and images from local files or the internet this software will run over the top of other applications allowing you to annotate, highlight and manipulate objects. Along with common IWB tools such as brush, intelligent pen, protractor, eraser, compass, spotlight, ruler and many more there is also a customisable built in image library for quick and easy access to subject specific images. Lessons and presentations can easily be recorded using the 'own file recorder' function and then output to AVI & WMV formats for uploading to the internet or for use as podcasts / webinars. For teachers who are used to Smart notebook you can import the smart files for use within Spark, so resources are still useable. Email sales@iceschool.co.uk for a Free Demo now. 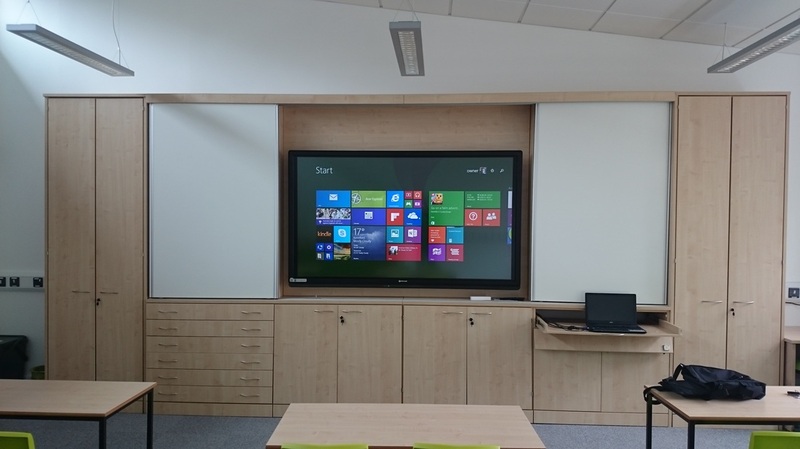 Why replace an Interactive Whiteboard with an Interactive Touchscreen? The accompanying projector requires maintenance and possibly installation throughout its life, it only has approx 2000-5000 hours before a new lamp required, or if a teacher turns off too quickly at the mains by mistake, ooops bang there goes another lamp! It makes sense to Explore the NEW LED HD range of Touchscreens: Sizes available 32" - 42" - 55" - 65" - 70" - 84" NEW 80"
Our range of NEW LED High Definition Touchscreens offer crystal clear viewing yet with amazing Eco friendly credentials make this School Technology a much wiser choice for the discerning Customer. They can be operated with your own PC/Mac or you have the choice of having a built in PC option to the rear of the Screen. 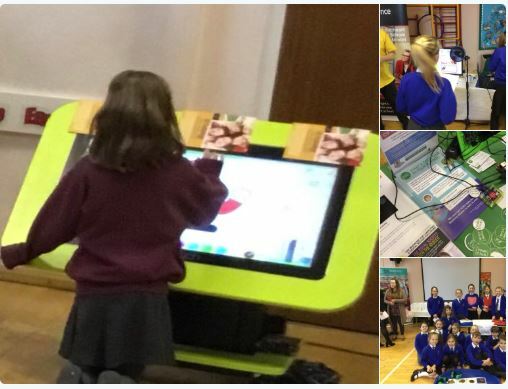 Link the LED Touchscreen with Spark Software and it provides the Teacher with an infinite canvas area enabling importing of documents, files (inc Smartboard files / lesson plans) images or the internet allowing annotation, class screen sharing...the possibilities are endless. Touch screens in mobile phones, mp3-players, laptops and GPS-navigator amongst many other devices is now common place. It’s only natural that this technology moves over to large display screens. The advantages of touch screen are ease of device management and accessibility.